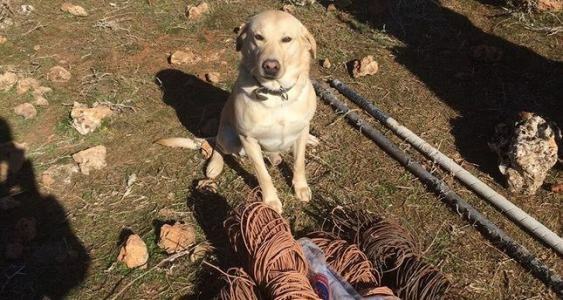 A bomb-sniffing dog named Elma saved lives today when it discovered 100 kilograms of explosives buried deep in the ground in southeastern Mardin province, Turkey. 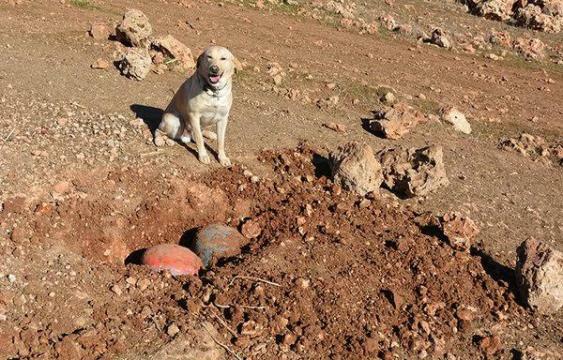 Elma discovered the bomb in the province's Nusaybin district. The explosives were packed inside two shell-like containers attached to a 400-meter long cable cords and detonators.